Hong Kong, 9 August, 2018 -- M800 Limited, Hong Kong’s leading telecommunication & IT solutions provider, has begun a new and intriguing partnership with the rising smart wearable start-up, Pomo House Co., Ltd. This extraordinary alliance will involve the integration of the M800 Communication SDK Suite into the smartwatches produced by Pomo House, adding live crystal-clear voice call and push notification services. 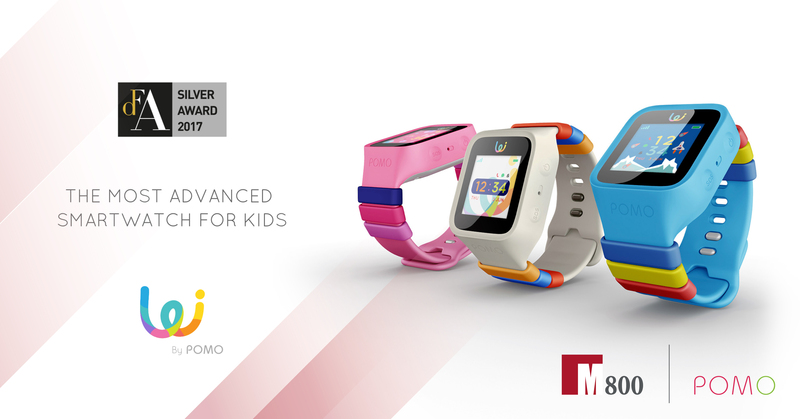 “We are incredibly excited about our latest partnership with Pomo House, and integrating our distinctive communication SDKs into their innovative smartwatches. Ensuring the security of children is a top issue for every community around the world. With the introduction of Pomo House’s range of smart wearables supported by our communication SDKs, we are sure that we can make the world a safer place for families,“ says Steven YAP, Co-founder, Chairman, and CEO of M800.